Corporate users and admins will have their work cut out for them. 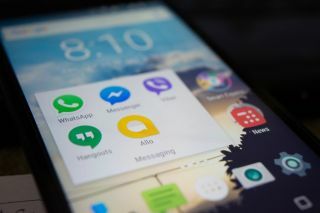 Employees given one of the most popular choices of Android business phone can now expect their devices to arrive preconfigured, meaning they can use them out of the box without the typical tedious, but necessary setup process. A new deployment method rolled out by Google called zero-touch enrolment, aims to result in less work for both administrators and end-users. Admins will be sure all corporate policies are always in place, and end users only need to log in to start using their new device. As of today, the deployment method is available from Google’s zero-touch carrier partners, including BT and Deutsche Telekom in Europe, Verizon, AT&T, Sprint, and T-Mobile in the US, and Softbank and Telstra in Asia. It’s currently available on the Pixel phone. “For our business customers, deploying new devices and services securely with the ability to enforce device-specific policies is critical for protecting proprietary information and an organisation's brand,” says Ryan O’Shea, vice president of national business channels with Verizon Wireless. “We’re working with our device partners including Samsung, Huawei, Sony, LG Electronics, HMD Global Oy Home of Nokia Phones, BlackBerry smartphones, HTC, Motorola, Honeywell, Zebra, and Sonim with additional OEMs to be added soon to deliver the zero-touch experience to enterprises,” Google says.